February’s highest grossing film is likely an animated sequel 5 years in the making with The Lego Movie 2 or How to Train Your Dragon: The Hidden World leading the way. The LEGO Movie grossed 257.7 million but 175.7 for The Lego Batman Movie and 59.2 million for the Lego Ninjago movie could reflect diminishing returns for the novelty. KJ insiders expect an opening over 30 million but the gross could be less than half as high as the original’s with 100-125 million. 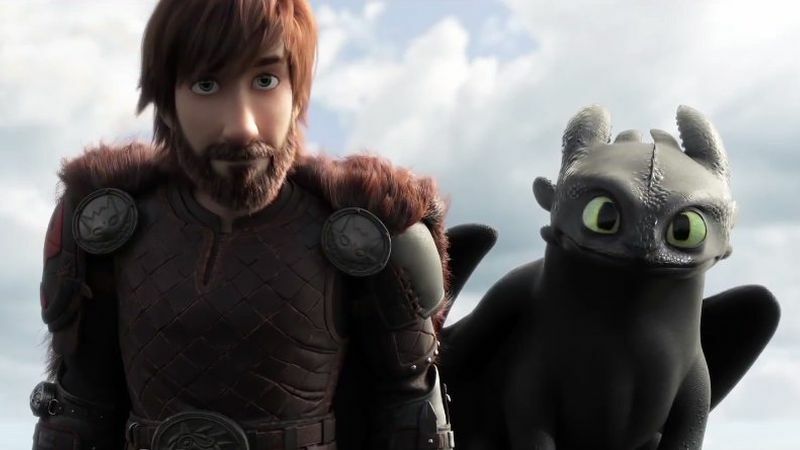 The How To Train Your Dragon series grossed 217.6 million for the original and 177 for the sequel, look for Dragon 3’s decline to be similar to the third Kung Fu Panda movie which would put it at 40 million opening and 150-160 million total. With a 100% on Rottentomatoes if opening close to LEGO 2, its word of mouth should help it hold better and have the inside track to win February. What Men Want should appeal to urban audiences and open to over 25 million like Night School. It has a chance to break out more and become a 100 million film if it attracts white audiences with a void of other romance or romcom films at Valentine’s, especially with the familiarity for the Mel Gibson original. The Rebel Wilson self aware romcom Isn’t It Romantic will also look to take advantage of its release date, but will have to do it as a leggy hit as with middling trailer views it’s likely to be a single digits or low teens opener. With the original’s word of mouth and good will toward the Blumhouse brand, Happy Death Day 2U will likely improve upon the original’s 26 million opening and 55.6 million with an opening over 30 millions and total in the 70 to 80 million range. It could be challenged for the February horror crown by the Taylor Schilling starring The Prodigy as audiences never tire of demonic kid horrors. Although they serve totally different audiences, the scheduling seems a misstep as it’s opening against LEGO Movie 2 and What Men Want when the previous two weekends were barren as it gets. With the horror audience to itself it should still open to 15-20 million and finish with 40-50 million total. Alita: Battle Angel is likely to be one of the financial bombs of the year with a 200 million budget and an opening weekend headed for below 20 million if not in single digits like Mortal Engines. The visually groundbreaking James Cameron and Robert Rodriguez film will struggle to 50 million total and hope to recoup its losses overseas. For single digit openers low trailer views have Liam Neeson’s snowplow revenge thriller Cold Pursuit as DOA and despite having its own weekend the Gina Rodriguez action thriller Miss Bala should have trouble appealing to non latino audiences. Fighting With My Family’s schedule shuffling and limited release could indicate a lack of confidence it will appeal to non wrestling fans.